BeTheme is a responsive multi-purpose WordPress theme that can help you create almost any type of website. 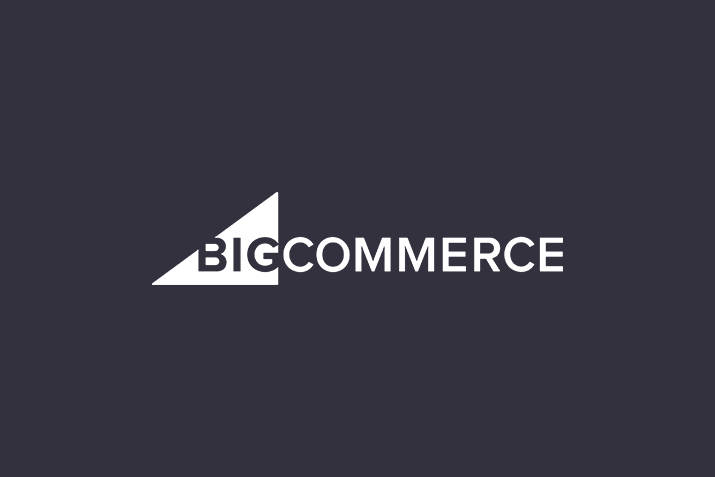 With over 190 pre-made layouts and demo versions covering a wide range of website categories, there should be a template to suit your project. However, even if the type of website you’re building isn’t covered by any of the pre-built demo modes that make up BeTheme, the customization tools and theme settings and options aim to make it easy to get the results you want. With an ever growing library of pre-made layouts, covering almost every category imaginable, BeTheme could just be the last WordPress theme you’ll ever need to buy. So let’s find out if that’s the case in our hands-on BeTheme WordPress theme review. If the type of website you’re planning is covered by one of the many pre-built demo versions of BeTheme, then your project should go very smoothly. In fact, as BeTheme is now on version 12, with over 190 pre-made layouts to choose from, there’s a good chance that the foundation of your website will be up and running in just a few clicks. However, despite the developers of this theme’s focus on creating this vast library of pre-made layouts, it doesn’t mean you won’t have other options when using BeTheme. Thanks to the integrated page builder tools, customizing the included layouts or creating your own from scratch shouldn’t be a problem either. As we’ll soon see in this BeTheme WordPress theme review, this is one of the most feature-rich modern WordPress themes available today. Therefore, if you want plenty of options, a wealth of time-saving tools, and access to all of the most popular web design elements and features in one package, BeTheme is definitely worth a closer look. 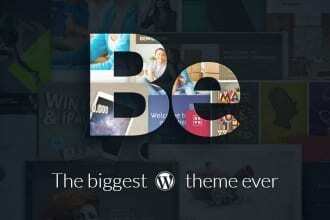 Like most multi-purpose WordPress themes, BeTheme can be a little overwhelming. Therefore, if you are new to WordPress or you’d prefer a theme that has been built for a specific purpose, then there might be better options out there, such as those from MyThemeShop. BeTheme does a good job of combining many of the features your website will need, with a great selection pre-made demo versions. However, with so much on offer, does BeTheme get the balance right between form and function? Any true multi-purpose WordPress theme worth its salt will include a good selection of pre-made layouts or demo versions. However, with over 190, BeTheme must have the most to offer in this department. These pre-made layouts cover seven main categories and can be imported and applied to your site in just a few clicks. Therefore, if your project can be described as being business, entertainment, creative, blog, portfolio, one page, or shop focused, then there is a good chance you’ll find a pre-made template that is ready to go. There’s also a selection of miscellaneous layouts covering projects such as charity, competition, church, book, and landing page websites. While quality is more important than quantity, it’s great to see so many pre-made layouts to choose from. From creating agency homepages, creative portfolios, online stores, freelancer websites, blogs, and pretty much any other type of project you can think of, BeTheme has at least one demo version to choose from. One of the other great things about this theme is that if you are a web designer, you could simply show your clients the library of layouts from BeTheme to demonstrate the type of websites you can create for them. Having a large library of impressive layouts doesn’t mean much if applying them to a WordPress website is difficult. Thankfully, importing the pre-made content and setting up your site up to resemble one of the demo versions is fairly straightforward. After just a handful clicks, my new WordPress was looking pretty good. When it comes to getting started, after installing the theme and required plugins, you must choose which type of content you want to import. I did find this approach slightly confusing, as it wasn’t exactly clear what each option refers to. However, once you’ve made the right selection from the dropdown list, you can then pick the demo version of BeTheme that you want to apply to your website. After that, it’s just a case of importing the relevant slideshow data and your site should be ready for you to add your own content. I’ve seen WordPress themes handle the demo content import process much worse than BeTheme. However, I’ve also seen it implement in a more user-friendly way. Nevertheless, after just a handful clicks, my new WordPress was looking pretty good. Although the demo versions of BeTheme are impressive and of a high standard, there’s a good chance they will need some tweaking to match your vision. Thankfully, BeTheme is a highly flexible theme that includes two page builder tools and plenty of customization options and settings. One of those page builder tools is the popular premium Visual Composer WordPress plugin. This tool makes it very easy to either customize the existing templates of BeTheme, or create your own advanced page layouts from scratch. This drag-and-drop builder tool is packed with pre-built templates and page sections of its own. Visual Composer allows you to work through either its front or back-end editors, giving you plenty of options for creating custom page layouts for your website. 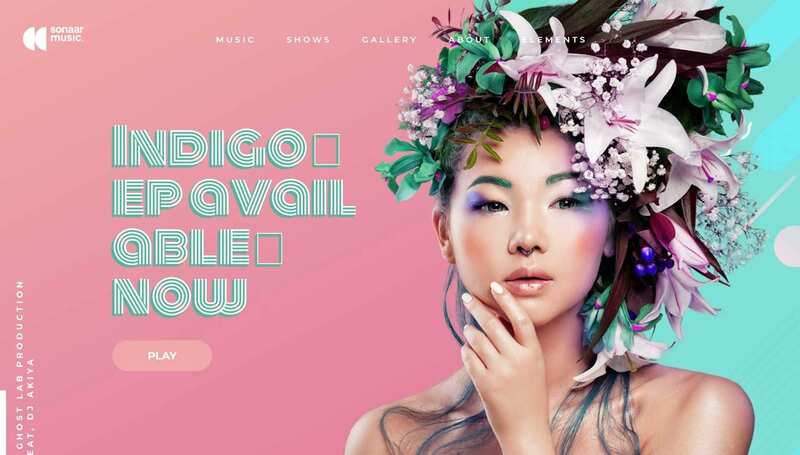 This drag-and-drop builder tool is packed with pre-built templates and page sections of its own, making it very easy to mix and match its elements to build your own unique page designs. Visual Composer also features a large library of page elements, which can be inserted into your layouts. These elements cover almost any and every feature you’d want to add to your website, including forms, pricing tables, sliders, buttons, charts, galleries, and a whole lot more. As well as the Visual Composer page builder, you’ll also find the bespoke Muffin Builder. This page builder has been created by the team behind BeTheme, giving you an extra tool for creating custom page designs for your WordPress website. Through the Muffin Builder user interface, you can create custom page layouts consisting of multiple rows and columns. These page layouts can then be populated with a wide range of useful elements. BeTheme also includes a detailed theme options control panel, through which you can customize almost every aspect of your website. Unlike the page builder tools, the control panel allows you to define the site wide settings to be applied throughout your website. Through the BeTheme control panel, you can configure the default site width, header layouts, navigation areas, footers, social media integrations, colors, fonts, and much more. There’s little more than basic support for the WordPress Customizer from BeTheme. This is a shame as the Customizer and its real-time, live preview makes the process of modifying a website much more efficient. However, with so many other customization options on hand, you probably won’t even notice. Many of the BeTheme demos make use of sliders. This is thanks to the inclusion of two advanced slideshow builder tools. By using either Slider Revolution or LayerSlider WP, you can easily edit the demo slideshows included in the theme package, or create your own from scratch. As these are premium slider tools, having both options at your disposal means that there shouldn’t be a type of slideshow or slider effect that you can’t implement on your site. BeTheme was first released in 2014 and has been regularly updated ever since. New demo modes have been added over time, with the developers open to suggestions on which layouts to create next. BeTheme is a great value tool for building all types of websites. As the number of features and capabilities of this WordPress theme has grown, the code has been constantly refined and optimized to ensure that your website will still load as quickly as possible. 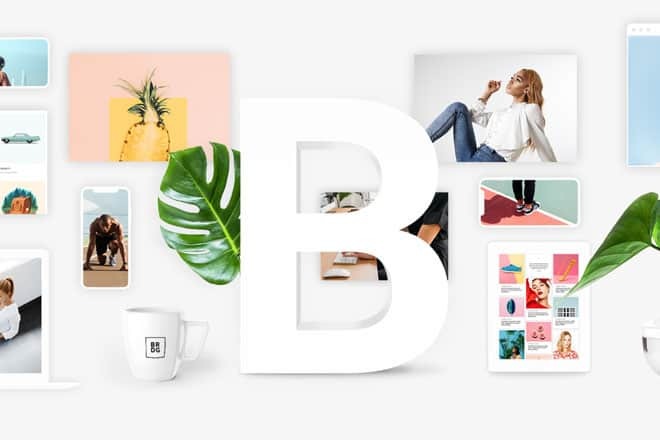 Considering you can purchase this theme for $59, including all of its templates and selection of premium plugins, BeTheme is a great value tool for building all types of websites. The large selection of easily importable demo versions of BeTheme is highly impressive. There really is an option for every type of project. Therefore, if you are running multiple websites, or you want a tool you can use as the foundation for client work, BeTheme is hard to beat. BeTheme checks off all the features you’d expect to find in a top class WordPress theme. However, even if you only ever plan to create just one website with this theme, it’s still a great choice. Thanks to the two page builder plugins, not to mention the wealth of settings and options, you shouldn’t have much difficulty getting your website looking and working exactly how you want. BeTheme checks off all the features you’d expect to find in a top class WordPress theme and then goes the extra mile by including an ever-growing library of pre-built demo versions, just waiting to be installed on your WordPress website.